Kensington Market in the heart of downtown Toronto, has not changed in the past 50 years. 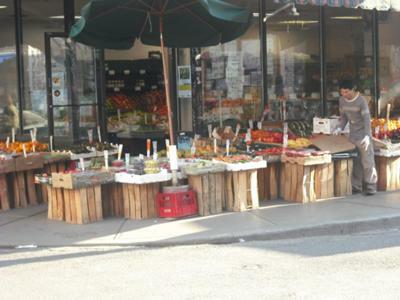 Kensington Market is full of hundreds of fruit and vegetable markets, a large meat shop, numerous seafood stores, hundreds of clothing and accessory shops and bargains galore! If you have a hefty appetite there are many Chinese, Sushi and Canadian restaurants throughout Kensington Market that are very reasonable and scrumptious!